For twenty-one years, the focus of Katherine Dale's life has been her work. Love interests and hobbies came and went, but what has always been there for her was her nine to five habit. Until she's replaced. With her confidence dented, Katherine is angry at life and at herself. She's ignored hints of "changes to come" in her horoscope forecasts, written by the wonderful and renowned astrologer, Mark Ainsley-Thomas. Mark is now an "A" list celebrity in the UK and his new Agent is determined to raise his profile in America, so he has to take on the new, but talented, astrologer James Kingman to help him run his web-site. Katherine lives her life according to her daily horoscope. When Katherine finds James has been writing her daily horoscopes rather than Mark, Katherine's life explodes in confusion and, unexpectedly, love as the three lives become inextricably tangled. Now Katherine has to learn that the stars might be telling her that love is going to feature in her life, but when Katherine finds herself implicated in the headlines 'Mystic Love Triangle Surprise' she's just as surprised as everyone else! None of the men in her life are love interests - so what exactly does fate have in store? Linn B. Halton takes astrology to a new romantic level of entertainment with her novel, The Quintessential Gemini. Relying on the perspectives of three characters, this book gives readers a peek at how the stars can predict upcoming life events, with a humorous twist. Katherine Dale is the Gemini of discussion as she, religiously, follows her horoscope forecast for everyday life. She's a feisty and passionate character and I think most readers will really enjoy her. They will connect with her based on her desire to open up to others, become more social, and achieve her dream of writing a book. 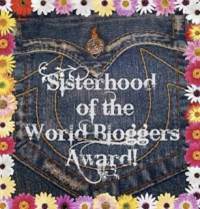 Respect will shortly follow as readers see how hard determined she can be to reach her goals. I find the fact that she heavily relies on her horoscope forecast incredibly quirky, but we all have our odd bits. James Kingman is the unexpected love interest of Ms. Dale. He's reliable and very loving, though incredibly unsure of himself with a history of failure (or so he believes). Being on the outside of almost all previous relationships, including his marriage, James isn't the type to go leaping into relationships. Readers will connect with him based on his rocky past, generous nature, and loving spirit. They will also hate his ex-wife. Well done, Halton. Mark Ainsley-Thomas is the third point of view that readers will enjoy. He's the character that ties everything together it seems. He is the astrologer that Katherine's been following for more than twenty years and the boss that James works for. Mark is a laid back character to works as a go between/instigator in the novel. His part is wonderful and it's refreshing to see a character who leans back and enjoys his life as he ponders over the lives of others. The plot of The Quintessential Gemini was very interesting. It revolves around astrology and I loved how the story aligned with the forecasts. It gives readers a sense of foreshadowing that is fun to play with. The love story between James and Katherine is unique and very cute. The entire novel is told in first person and at some points is seems to take away from the story itself. I felt as if I was watching a video of characters telling me the story with flashes of actual footage. Which is a very unique writing technique but I felt the adjustment period diminished the enjoyment of the story. I wanted to see what was happening! Not just hear about it after the fact. 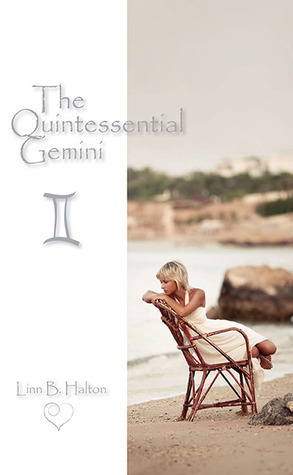 Regardless of the adjustment period, The Quintessential Gemini was a quirky love story that was written in the stars. Very enjoyable! Awesome review of a great book! Love this website too!